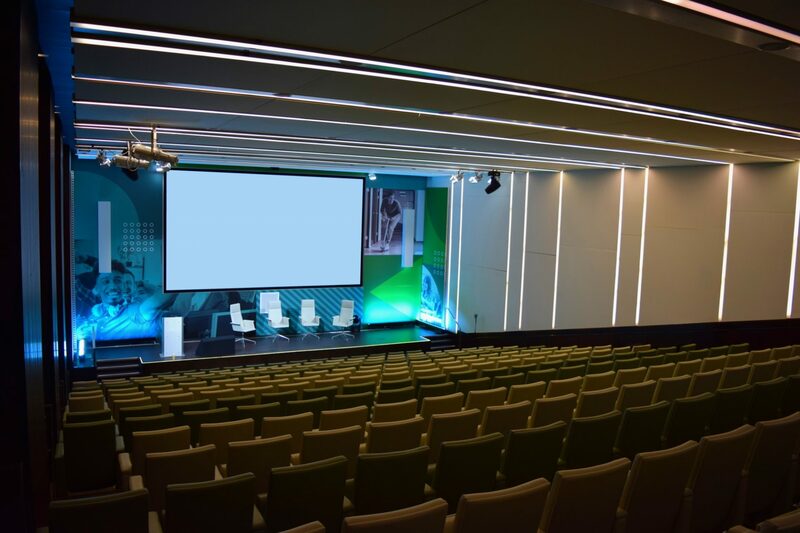 Embrace modern event facilities, advanced technology and inspirational hospitality for the perfect conference. 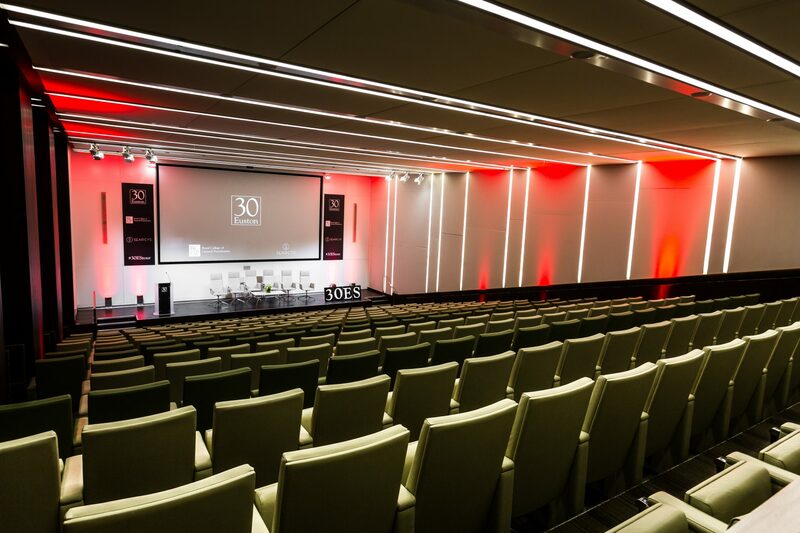 Our 300 seat tiered Auditorium and Exhibition Space can cater for even the most seasoned conference organiser. 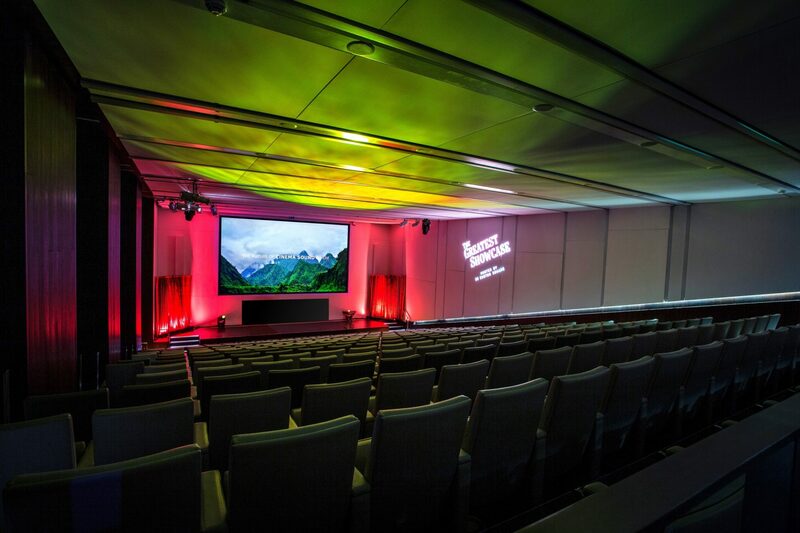 Our Auditorium benefits from the highest quality AV technology including: a 16:9 cinema size screen and a Sony HDR 4K DCI Laser Cinema Projection system to create a full cinematic projection for events and cinema screenings. In addition, we also have video conferencing and streaming facilities so there’s no reason for someone to miss out. 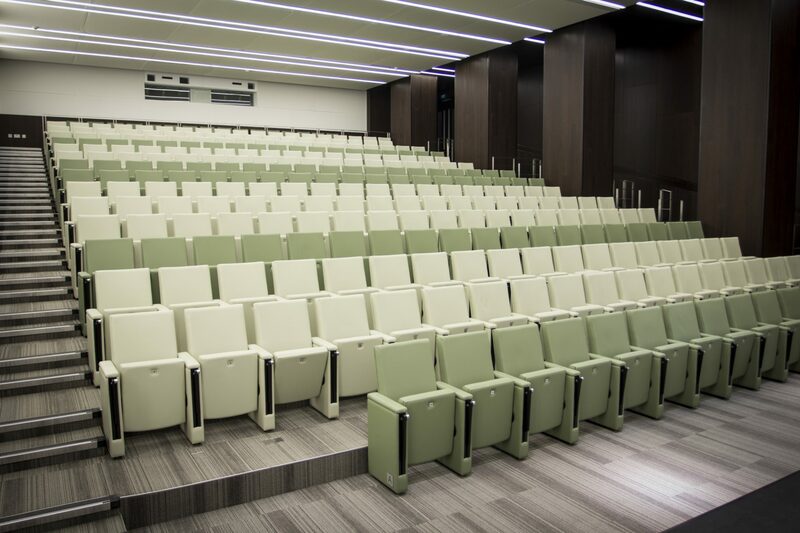 Furthermore our Auditorium benefits from 1GBps Wi-Fi, a 7 stage lighting system and roaming microphones to create an enhanced interactive delegate experience. Read our Auditorium & Exhibition Space Vital Statistics for full specification and details of our AV offering. 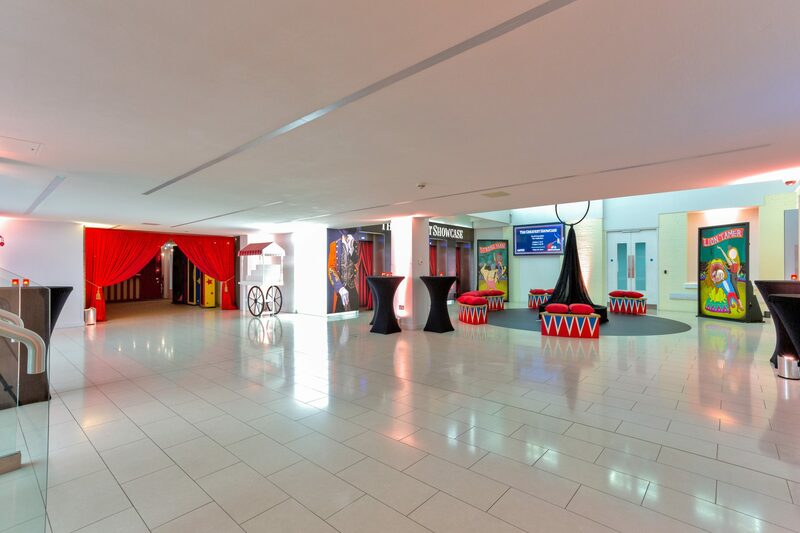 The Auditorium is complemented by a self-contained Exhibition Space which can enhance your delegate journey through advantageous branding opportunities. 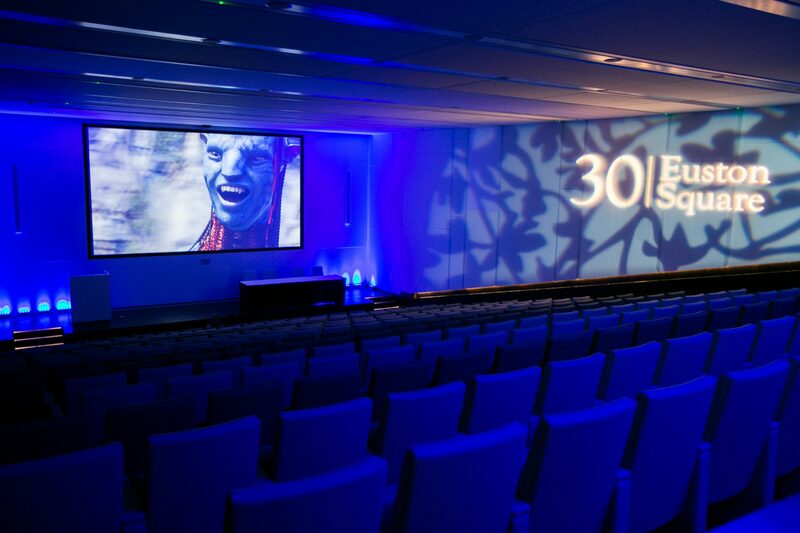 Our new 5 metre wide, 4K Video Wall made of 8 x 55” display screens with capabilities to colour wash the wall with your brand, provides a real wow-factor to any event or conference. Unique options like the new 84” 4K LED portrait welcome screen also allows you to individually display a striking message or key branding. In addition, the area also has three 55” 4K screens and one 84” 4K screen mounted for further media displays. 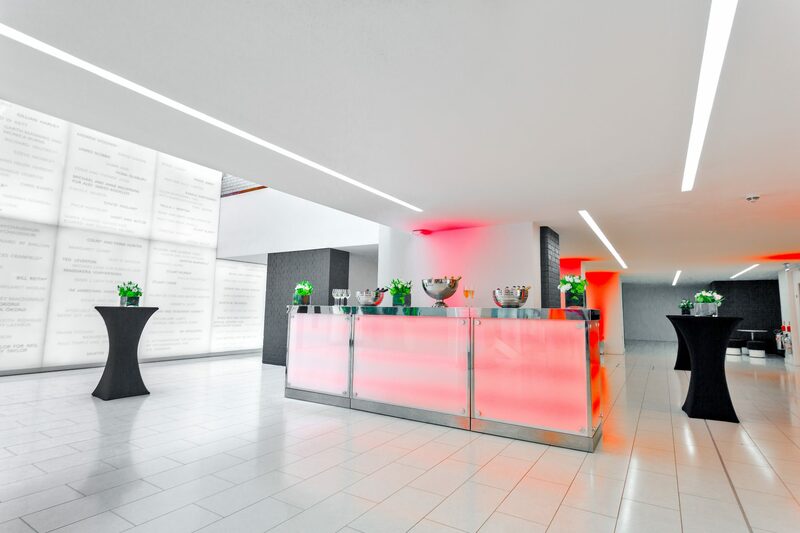 With white wash walls and tons of natural daylight from two 24 metre high atriums; the Exhibition Space provides the perfect networking area within a conference. 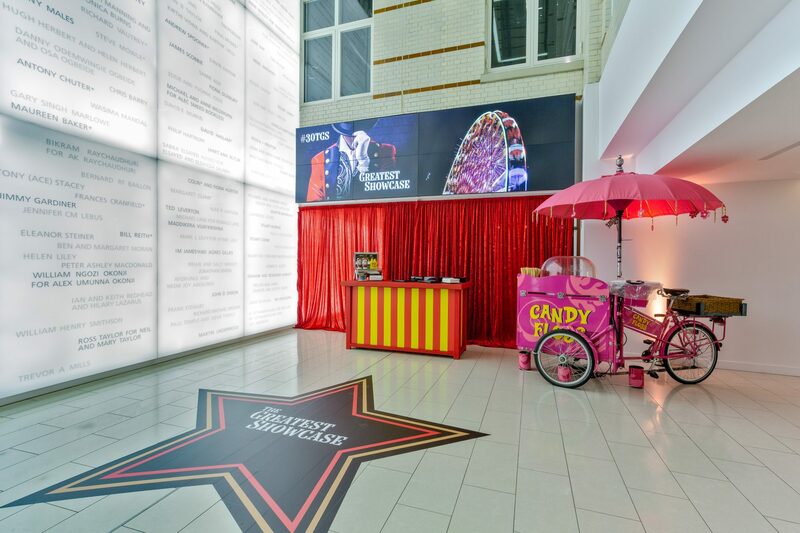 Fully branded; it provides a welcoming registration, refreshment and catering area, as well as a dedicated cloakroom. 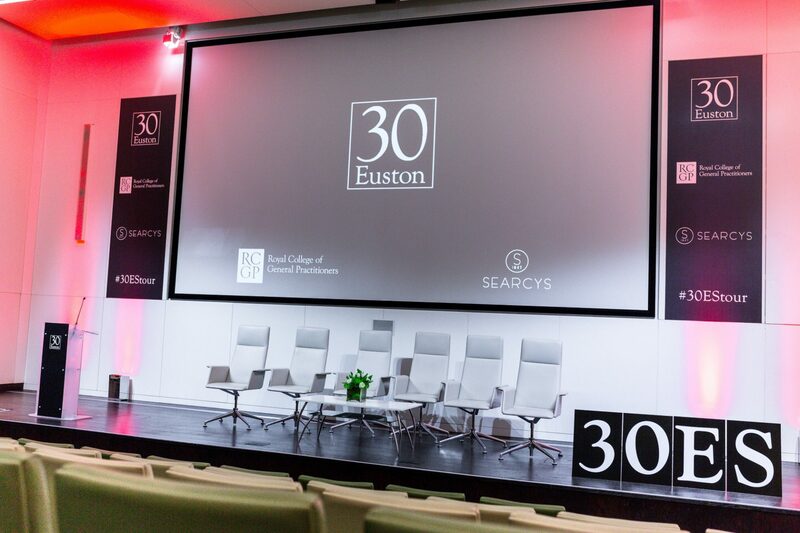 At 30 Euston Square, we understand that the logistics of event set up and deliveries can be difficult to organise. 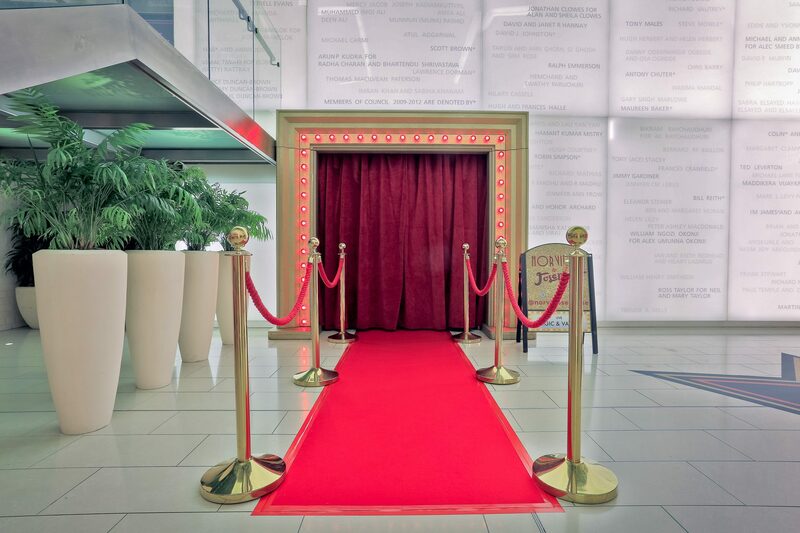 However with dedicated entrances, along with delivery and loading points, we can make it as simple as possible. 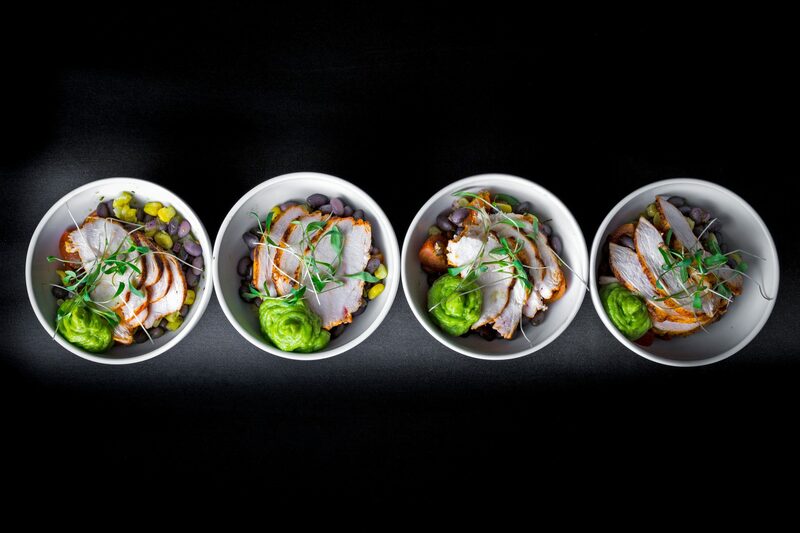 Additionally, our creative chefs use fresh and seasonal ingredients to develop dishes to entice the tastebuds. 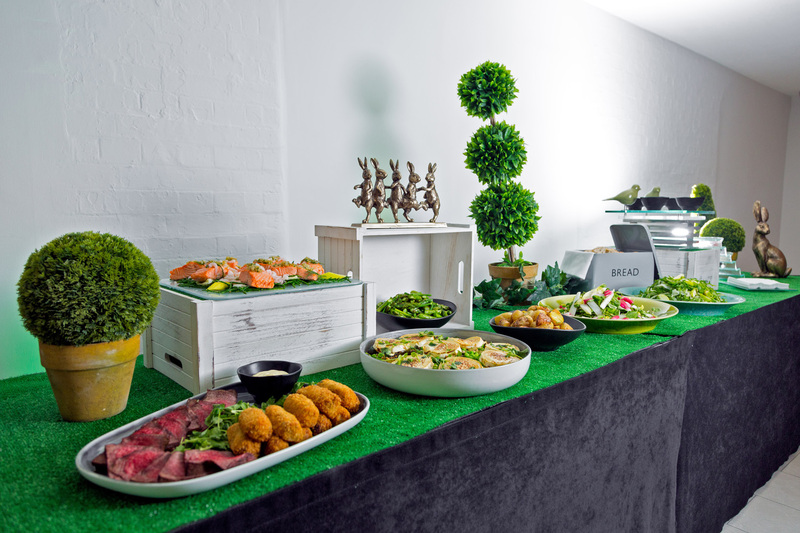 Choose hot fork lunches to break up the day, canapes and bowl food to encourage networking or browse our range of international seasonal and healthy menus. 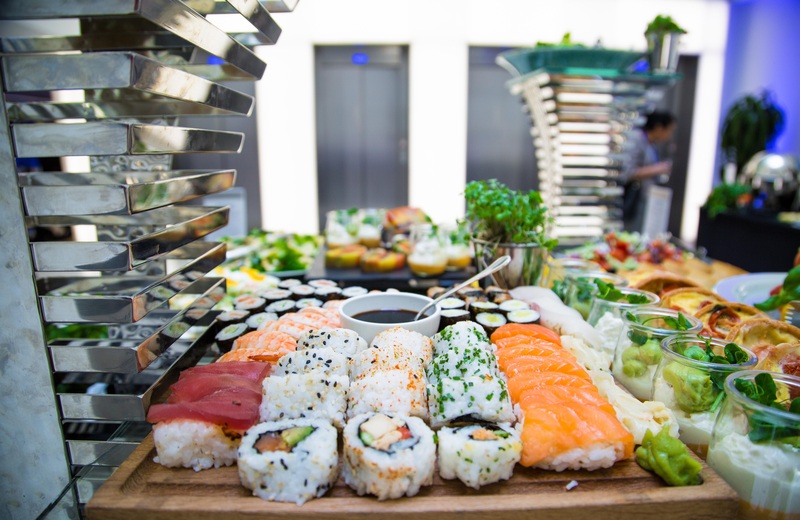 As a result, we pride ourselves on our range of menu choices and continually keep up with the latest trends. 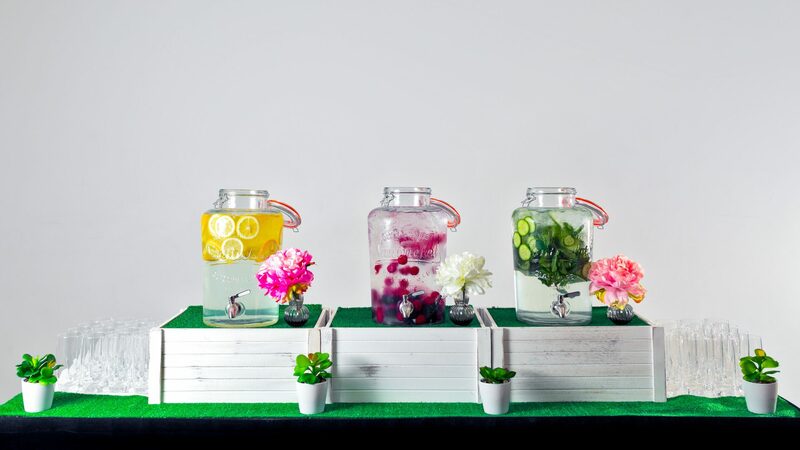 Recently, our chefs created new healthier options for events in response to rising health conscious consumers. Finally, our team are what enable you to enjoy a great conference. 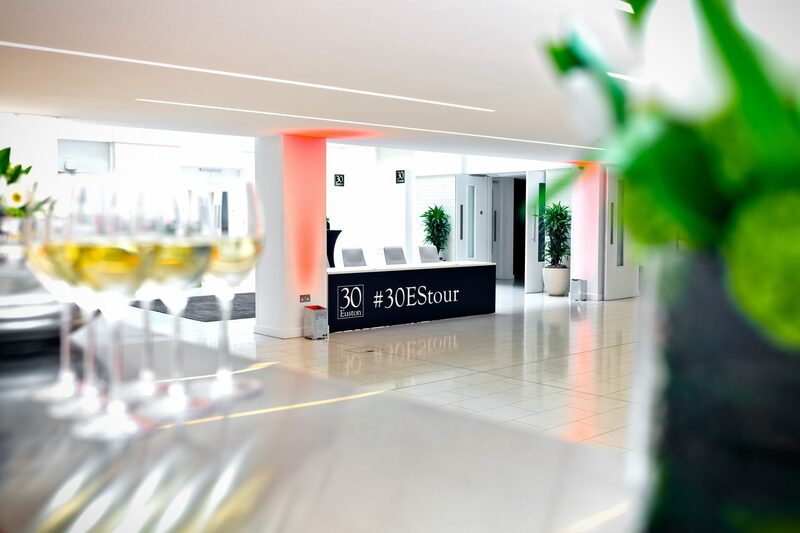 Our experienced Events and Operations team are always on hand to provide advice on the best layout, AV and menus to enhance your delegate experience. We also have a number of smaller conference spaces or meeting rooms available. Enquire today and discusses your requirements with a member of the team.